The Disposable Theatre Improv teams are back for our Fall 2018 season. You'll never see the same show twice because it's all made up! Grab some friends and come laugh until milk spews from your nose! Our improv classes are the most fun you'll ever have in a class! Get out of your comfort zone, meet new people and discover how the skills used in improvisation can change your life! 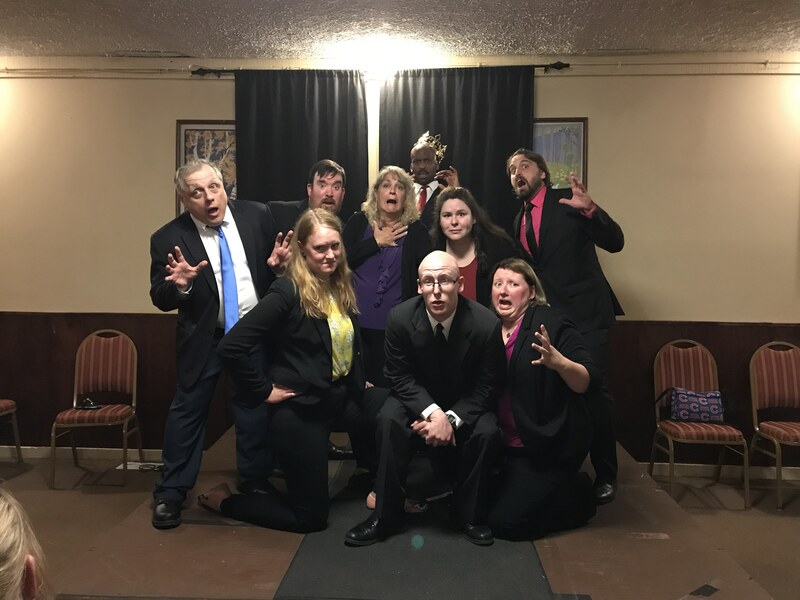 Disposable Theatre Productions has been bringing laughter and fun to Northwest Indiana since 2010. We perform all across the Northwest Indiana and Southwest Michigan. We bring the fun to you. 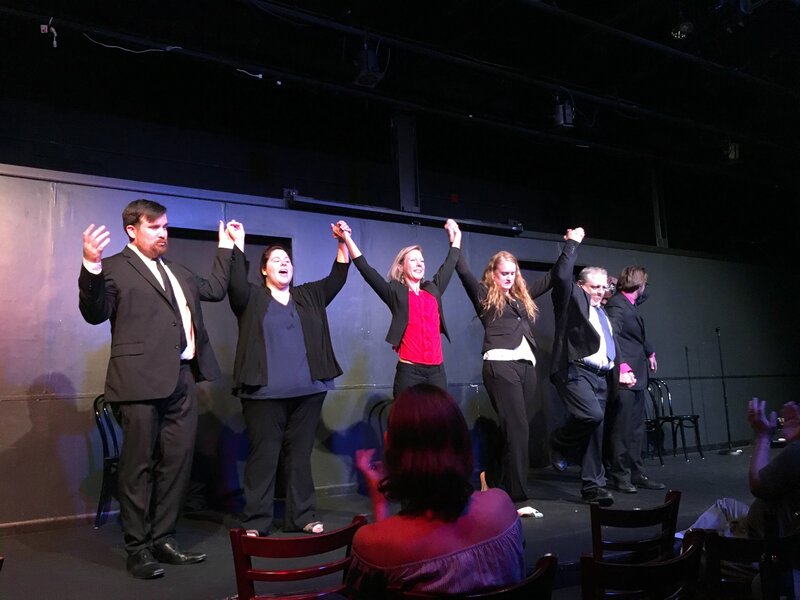 Disposable Theatre Productions has two house teams, Disposable Theatre, and 9 Bad Basses and we continue to look for new talent from our classes. We have house shows that highlight our teams as well as other improvers from around the area. We offer classes in improv but will soon be offering acting and stand-up comedy. Have us come to your next corporate training. We specialize in teaching the importance of communication, listening, thinking on your feet, correcting as a team and supporting each other all in a positive, supportive, Yes And....attitude. 1-2 hour trainings available. Great for companies of all sizes. 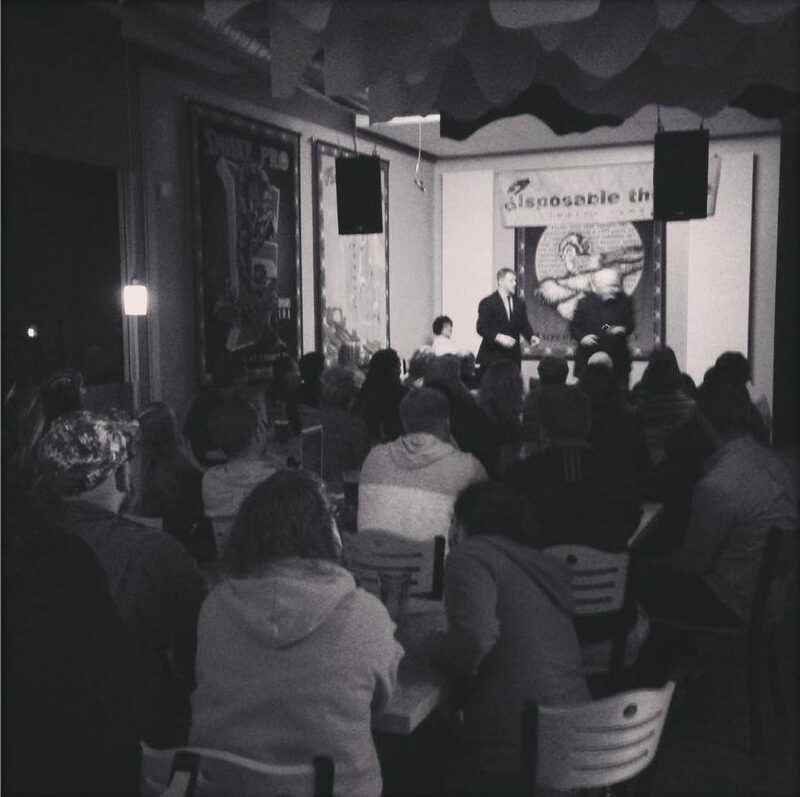 Our shows are different every single time, because it’s improv…it’s ALL made up on the spot! If you’ve seen us before, see us again. It is an audience-inspired evening of comedy. Check out our upcoming shows for 2018/19.